This week we are asking you to describe your character without using a picture. What do they look like? What do they wear? What is their personality like? Help us get to know your character without using any pictures at all! As you may have noticed, a favorite pastime of mine is finding pictures of my characters and then using them in blog posts. So this is going to be an interesting but good challenge for me! This week, I'm introducing Poppy Spencer, my character in the novel that Ashley and I cowrote together (and finished yesterday!!!). She's paired with Ty, whom Ashley introduced on her blog here. Physical appearance: Poppy has super curly sandy blonde hair and dark eyes. She has a heart-shaped face with a smattering of freckles on it. Her smile lights up her entire face. She's tall, lean, and a bit angular. Style: Poppy can be found wearing anything from t-shirts and sweats to a sundress, depending on her mood. She's pretty feminine in what she wears and really enjoys wearing pretty outfits whenever she can, as long as they're comfortable too. Personality: Poppy's personality, in a word, is sacrificial. She's loyal to her friends and family and would do anything for them, even if it hurts her. She's compassionate and empathetic and really sensitive. She has a sense of humor, and her favorite thing to do is be with her friends--particularly her best friend, Ty Mellaney. She can't cook at all, but she really loves to read, especially Nicholas Sparks. She says thank you way too often, much to the dismay of Ty. She is determined to see the good in everything, even when there's no good at all. Backstory: Poppy's parents passed away when she was two, so her Aunt Mary took her under her wing and is her only family. Aunt Mary means more to her than anything, and her health is failing, so Poppy spends her days taking care of her and worrying about the day when Aunt Mary will no longer be there. She also works as a nanny for Ty's mom, which she loves doing. Despite the hard parts, Poppy is an eternal optimist, and she really does love her life. Thank you so much for reading. 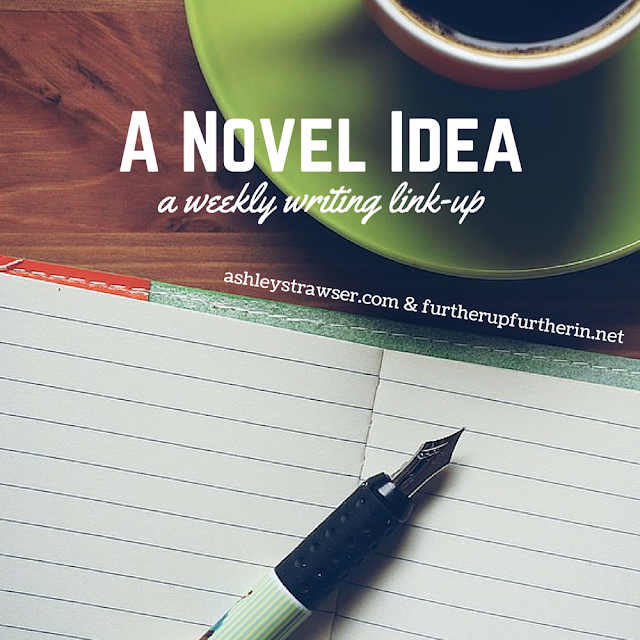 Have you participated in A Novel Idea? Link up here!